For the Billy Stewart/GQ song, see I Do Love You (Billy Stewart song). "She Believes in Love Again"/"It's Just a Matter of Time"
The Beach Boys is the 25th studio album by American rock band the Beach Boys, released on June 10, 1985. Produced by Steve Levine, the album is the band's first recording after the drowning death of founding member Dennis Wilson. It was also the band's first album to be recorded digitally and the last released by James William Guercio's Caribou Records. For The Beach Boys, the band hired Culture Club producer Steve Levine, who took them into the world of drum machines, synthesizers, sampling, and hi-tech recording technology. Brian Wilson, Carl Wilson, Mike Love, Bruce Johnston and Al Jardine all took active roles in the project, writing several new songs for it, with Stevie Wonder and Culture Club each donating a song. The album was recorded during summer 1984 at Red Bus studio in London, and Westlake Audio in Los Angeles during late 1984/early 1985. It features Motown artist Stevie Wonder on harmonica and keyboards on the song "I Do Love You", which he also wrote. Ringo Starr also appears on the track "California Calling". 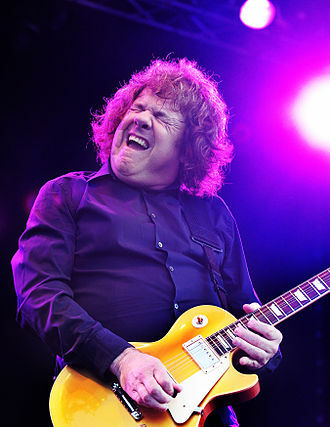 Noted guitarist Gary Moore features on all tracks playing both guitar and synthaxe. Brian Wilson contributed a song written in 1982 by himself and Dennis Wilson called "Oh Lord", but the song did not make the final cut. Also cut from the album was a cover of "At the Hop" with lead vocals by Mike Love. Two videos were produced to promote the album: "Getcha Back" and "It's Gettin' Late." Both videos feature a stereotypical nerd as the central character who socializes near the beach. In "Getcha Back", all band members are featured in a story of childhood love separated until the couple reaches their teenage years. In the second video, "It's Gettin' Late", the central character learns about the trials and tribulations of dating. 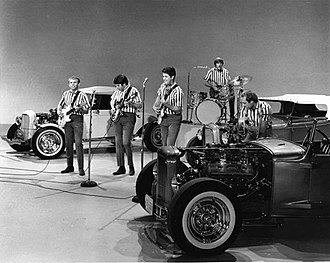 The only Beach Boys member to appear in "It's Gettin' Late" is Brian Wilson, who makes an appearance at the end of the video. He is shown picking up a seashell and using it to listen to the song "California Calling".. Katherine Kelly Lang (Brooke Logan Forrester from "The Bold And The Beautiful" TV -series) has a role on both videos. Although "Getcha Back", was a top 30 hit, the album only reached No. 52 in the U.S. (making it their highest charting album since the release of 1976's album 15 Big Ones). After the album, CBS Records let the band's contract expire, leaving them without a record deal for the first time in years. 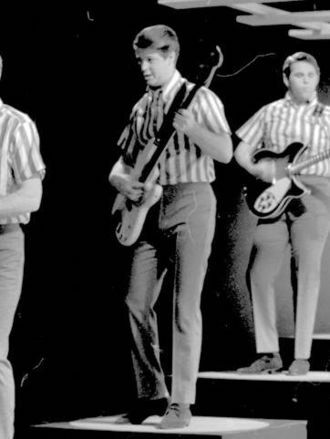 In their book The Complete Guide to Brian Wilson and the Beach Boys, critics Andrew G Doe and John Tobler describe the album as 'technically perfect yet generally sterile'. They do, however, single out Carl Wilson's 'Where I Belong' for praise, describing the track as 'simply magnificent, with block harmonies of almost chilling power'. [full citation needed] Doe also praised 'Where I Belong' in his liner notes for the 2000 CD reissue, calling it "achingly beautiful" and "the album’s undisputed highlight". Eugene Landy originally received co-writer's credit for all Brian Wilson compositions. This credit was omitted on later editions. Al Jardine – vocals, Electric Guitars on "California Calling"
^ Wolk, Douglas (October 2004). "The Beach Boys Keepin the Summer Alive/The Beach Boys". Blender. Archived from the original on June 30, 2006. Retrieved June 2, 2017. 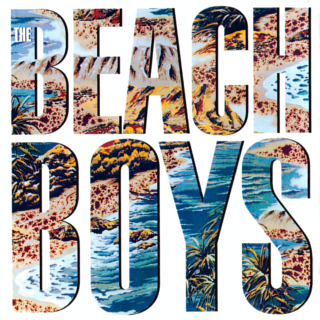 ^ "Robert Christgau: CG: beach boys". www.robertchristgau.com. Retrieved 9 April 2018. ^ "The Beach Boys". rollingstone.com. Retrieved 9 April 2018. ^ "KTSA / Beach Boys 85". albumlinernotes.com. Retrieved 9 April 2018. Keepin' the Summer Alive/The Beach Boys CD booklet notes, Andrew G. Doe, c.2000. 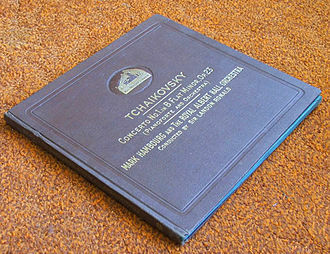 - Contains personnel listings for both but only details instruments for the latter. Richard Starkey, MBE, known professionally as Ringo Starr, is an English musician, singer and actor who gained worldwide fame as the drummer for the Beatles. He occasionally sang lead vocals, usually for one song on an album, including With a Little Help from My Friends, Yellow Submarine and their cover of Act Naturally. He wrote the Beatles songs Dont Pass Me By and Octopuss Garden, Starr was twice afflicted by life-threatening illnesses during childhood, and as a result of prolonged hospitalisations fell behind in school. In 1955, he entered the workforce and briefly held a position with British Rail before securing an apprenticeship at a Liverpool equipment manufacturer, soon afterwards, he became interested in the UK skiffle craze, developing a fervent admiration for the genre. In 1957, he cofounded his first band, the Eddie Clayton Skiffle Group, when the Beatles formed in 1960, Starr was a member of another Liverpool group, Rory Storm and the Hurricanes. After achieving moderate success with that band in the UK and Hamburg, he quit the Hurricanes and joined the Beatles in August 1962, Starr played key roles in the Beatles films and appeared in numerous others. 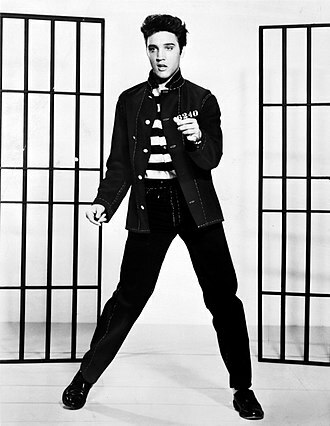 After the bands break-up in 1970, he released several singles including the US number four hit It Dont Come Easy. In 1972, he released his most successful UK single, Back Off Boogaloo and he achieved commercial and critical success with his 1973 album Ringo, which was a top ten release in both the UK and the US. He has been featured in a number of documentaries and hosted television shows, since 1989, he has toured with twelve variations of Ringo Starr & His All-Starr Band. Ringos popularity brought forth a new paradigm and we started to see the drummer as an equal participant in the compositional aspect. His parts are so signature to the songs that you can listen to a Ringo drum part without the rest of the music and he was inducted into the Modern Drummer Hall of Fame in 1998. In 2011, Rolling Stone readers named Starr the fifth-greatest drummer of all time. 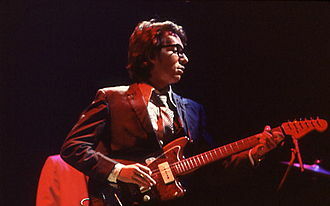 Starr, who was inducted into the Rock and Roll Hall of Fame as a Beatle in 1988, was inducted for his solo career in 2015. Richard Starkey was born on 7 July 1940, at 9 Madryn Street, in Dingle and he is the only child of confectioners Elsie and Richard Starkey. Brother Records, Inc. is a holding company established in 1967 that holds the intellectual property rights of The Beach Boys, including The Beach Boys trademark. Prior to being incorporated, Brother Records was a label founded by Beach Boys manager Nick Grillo in October 1966. Its output was distributed by Capitol Records in 1967, and Reprise Records throughout 1970–78, motivated in no small part by the negative reaction of Capitol Records to some of Brians ideas for Smile, the new company gave the band more control over their recordings. In 1983, shortly after the death of Dennis Wilson, his estate sold his share back to the corporation to repay loans, in 1998, following Carl Wilsons death, his share of the corporation passed to and is still controlled by his estate. The labels first releases were the Beach Boys Heroes and Villains single and Smiley Smile album in 1967, distributed by Capitol Records. In 1969, concurrent with their signing to Reprise Records, the Brother label was reactivated, beginning with the single Add Some Music to Your Day, and the Sunflower album. Culture Club are an English band that was formed in 1981. The band comprised Boy George, Roy Hay, Mikey Craig and they are considered one of the most representative and influential groups of the 1980s. Culture Club sold more than 50 million records worldwide, including 7 million records awards RIAA certificate in the United States, Boy Georges androgynous style of dressing caught the attention of the public and the media. The group, supporters of the pop genre, made numerous forays into reggae. Their second album, Colour by Numbers, sold more than 10 million copies worldwide and it appeared on Rolling Stone magazines list of the 100 Best Albums of the 1980s and is included in the book 1001 Albums You Must Hear Before You Die. 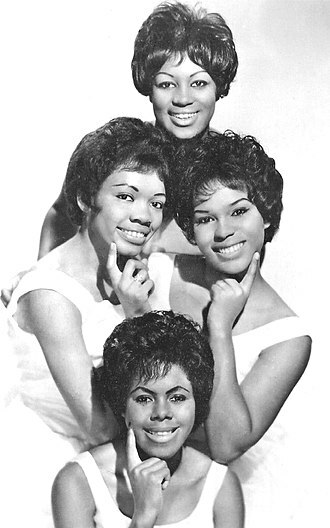 Ten of their singles reached the US Top 40, where they are associated with the Second British Invasion of British new wave groups that became popular in the US due to the music channel MTV. Culture Clubs music combines Bnritish new wave and American soul with Jamaican reggae and other styles such as calypso, salsa, in 1984, Culture Club won Brit Awards for Best British Group, Best British Single, and the Grammy Award for Best New Artist. They were nominated the year for the Grammy Award for Pop Vocal by Group or Duo. 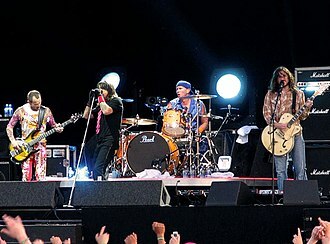 The band were nominated for a Canadian Juno Award for International Album of the Year. Time is included on the Rock and Roll Hall of Fames list of 500 songs that shaped rock, in 1981, Blitz Club regular Boy George occasionally sang with the group Bow Wow Wow under the stage name Lieutenant Lush. After his tenure with the group ended, George decided to start his own band and enlisted bassist Mikey Craig, drummer Jon Moss, and finally guitarist Roy Hay. Realising they had an Irish gay man as the singer, a black Briton on bass, an Anglo-Saxon on guitar and keyboards. The group recorded demos, which were paid for by EMI Records, the band released two singles in May and June 1982, White Boy and Im Afraid of Me, though both failed to chart. In August the single Mystery Boy was released in Japan, in September of that year, the group released their third single, Do You Really Want to Hurt Me, a reggae-influenced number, which became one of their biggest hits. The latter events were dramatized in the biographical film Love & Mercy, in which Landy is portrayed by Paul Giamatti. As a teenager, Landy aspired to show business, briefly serving as a manager for George Benson. During the 1960s, he began studying psychology, earning his doctorate at the University of Oklahoma, after moving to Los Angeles, he treated many celebrity clients, including musician Alice Cooper and actors Richard Harris, Rod Steiger, Maureen McCormick, and Gig Young. He developed an unorthodox 24-hour therapy intended to stabilize his patients by micromanaging their lives with a team of counselors and doctors, Brian Wilson initially became a patient under Landys program in 1975. 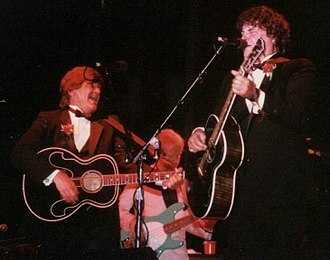 Landy was soon discharged due to his burdensome fees, in 1983, Landy was re-employed as Wilsons therapist, subsequently becoming his executive producer, business manager, co-songwriter, and business adviser. Landy went on to co-produce Wilsons debut solo album and allegedly ghostwrote portions of Wilsons disowned memoir Wouldnt It Be Nice, in 1989, Landy agreed to let the state of California revoke his professional license amidst accusations of ethical violations and patient misconduct. 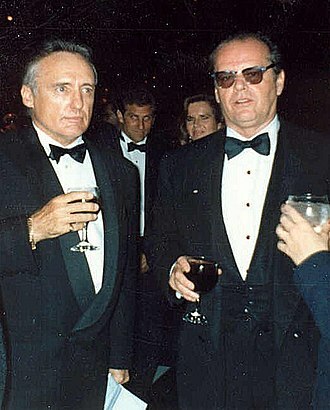 Wilson continued to see Landy until a 1992 restraining order barred Landy from contacting the musician ever again, eugene Ellsworth Landy was born on November 26,1934, in Pittsburgh, the only child of Jules C. Landy, a doctor and psychology professor, and Frieda Mae Gordon Landy. Eugene dropped out of school in the grade, claiming to be dyslexic. At age 16, he pursued a career in business, producing a nationally syndicated radio show. Landy briefly served as Bensons manager and worked odd jobs as a producer, promoting records. Honoring his parents wishes, Landy resumed his studies at Los Angeles City College, where he earned an AA in chemistry. After falling ill with dysentery, he switched to psychology and he earned a masters degree in psychology from University of Oklahoma in 1967, completing his training with a PhD in 1968. 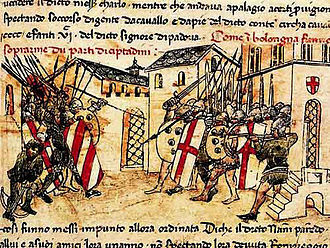 Landy began developing ideas for his 24-hour treatment program while engaging in work at Rancho Santa Fe. It was there that he practiced marathon therapy, in which a therapist takes control of a group of people for a day or more, Landy went on to call his new system milieu therapy. Culture Club; Milwaukee, Wisconsin; 2016. Front L-R: Roy Hay, Boy George, and Mikey Craig (not pictured: Jon Moss). 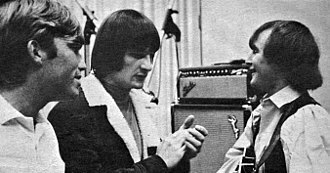 Melcher at left, in the studio with the Byrds' Gene Clark (center) and David Crosby in 1965.